Eating a Thanksgiving meal once is really all I can wrap my mind around. 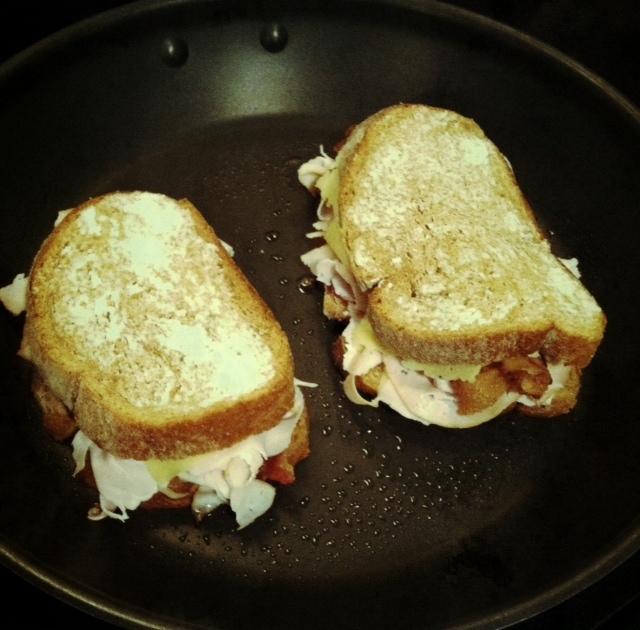 If you are the same way, here is a recipe that will help you use up that extra turkey while adding the new flavors of grilled cheese and bacon. BACON! Take all of these guys and get ready to assemble. 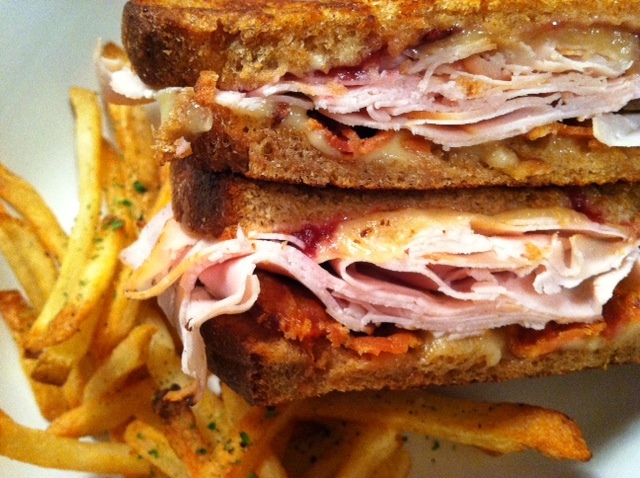 It’s just a fancy grilled cheese people. 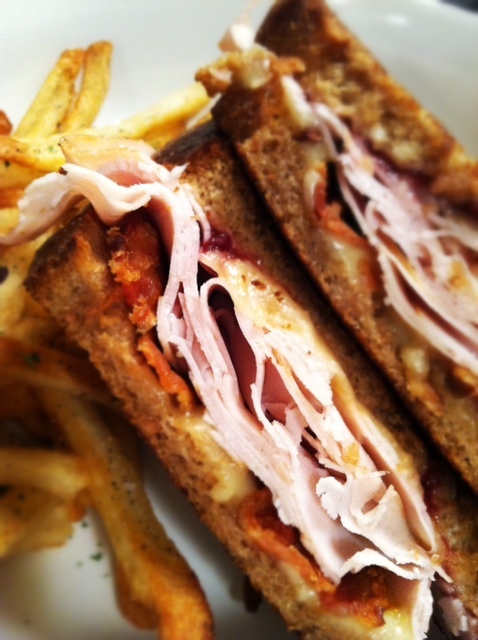 Sure to cure any Thanksgiving over spirited indulgences or a great snack when you return from Black Friday madness. Heat a large skillet or grill pan to medium heat. 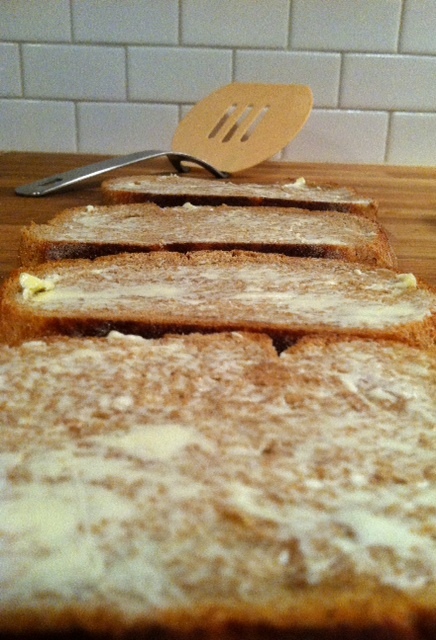 Meanwhile butter 1 side of each piece of bread and sprinkle a little sea salt on each piece if desired. On a paper towel or cutting board turn 4 pieces of the bread face down so that the buttered side is touching the paper towel. Spread 1/4 of dijon and mayo on each of the 4 pieces of bread. 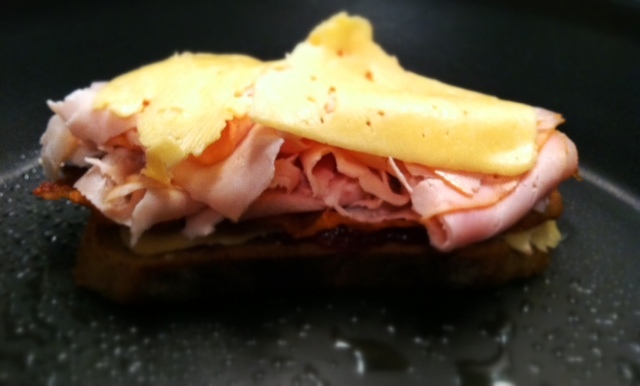 Spread 2 tablespoons of cranberry dressing on top of the dijon/mayo. 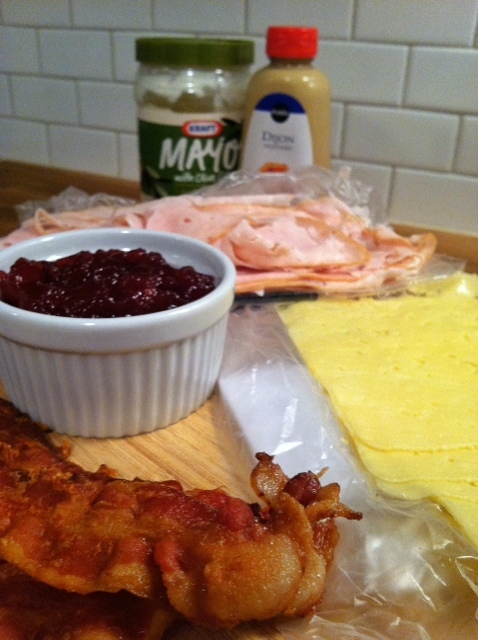 Layer turkey, then bacon, then cheese and a few twists of pepper. Place open faced sandwich in skillet that has been sprayed with cooking spray. Top with the non buttered side of the 2nd piece of bread so that the butter is facing up. When bread touching pan begins to brown (2-3 minutes) flip and brown the other buttered piece. At this point you should smush the sandwich for best results.